In order to test and release with confidence we’ve simplified the complexity of testing multiple Variant combinations of your Remote Config setup. 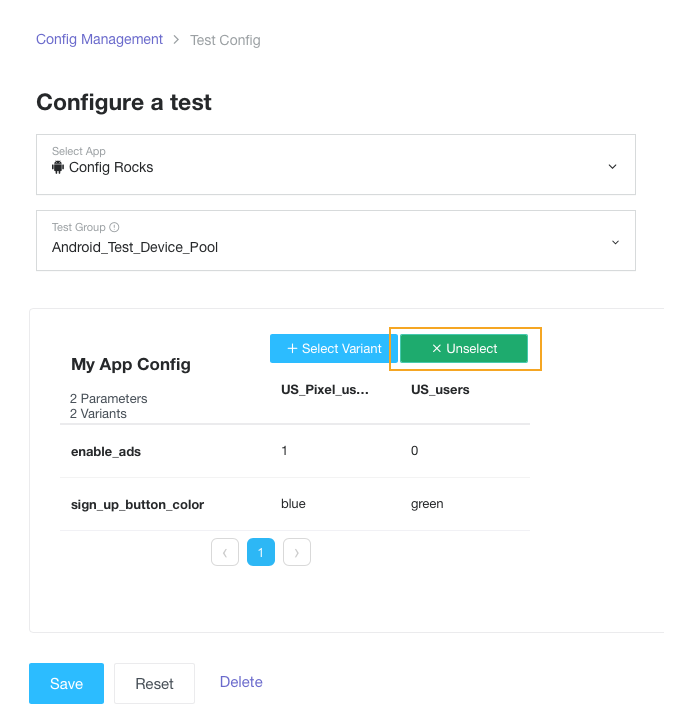 For example, say you have 4 Variants for your app, with Test Devices workflow, you can systematically test each Variant at a time without making any change to your test device to match the Audience criteria for each of the 4 Variants. Test Device Group allows you to apply test Variants to all test devices that are part of the group. You can use a Test Device Group to assign specific Variant combinations from multiple apps. Register a new test device. Use IDFV for iOS devices and GPAID for Android devices. You can edit/ delete test devices in a group or move it to a different Test Device Group. 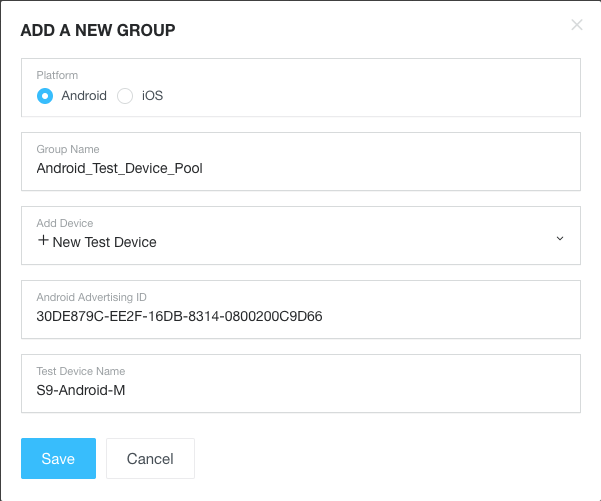 Now that you have Test Device Group setup, you can use it to test specific Variants for apps on that platform. Pick the Variant you want to test. In case you have multiple Parameter Groups, you can select 0 or 1 Variant for each Group. Once your testing is complete, don’t forget to Reset test configuration for Test Device Group. Reset will remove the Variant lock-ins on Test Devices.